There are many pros of being a blogger in the beauty industry these days, especially for someone like me who is literally mad about skincare and products. Having studied all of this once upon a time, it fascinates me as it is one of the fastest evolving industries, always with something ground-breaking – from exciting new ingredients and brands to new treatments and in-salon skin technology. The latest product that has pushed the boundaries in this way is from Bio-Therapeutic called the bt-Cocktail – which is a 3 part skin energy system that is made up of an ampoule, serum and a cream. This is a tough review to write as when it gets down to why this product is so amazing and so incredibly results driven then we are looking at seriously scientific-looking words and explanations that make my mind go into over-drive – so I won’t throw that onto all of you now. What I can say, however, is that the thought and science behind every teensy tiny element in this range is insane. We are talking the highest form of technology here. I had the privilege of trialling the 45 day bt-Cocktail pack that retails at R 1596. 00. See below for my very best attempt at simplifying this for you, please shout if you want further info as I can happily pass on the actual pamphlet which explain everything in great detail or check out the website. So what is the basis of this product? It’s all about energy and energising each and every skin cell. The fancy, scientific word for energy is Adenosine Triphosphate (ATP will do for us). Basically every cell is obviously living in your body and to ensure the cells live and flourish they require a huge amount of energy. The man behind Bio-Therapeutic, David Suzuki, believes that there are many factors associated with aging and that energy in the form of ATP is the epicentre of cel­lular life, and has everything to do with the way that we function, the way that we feel, and of course the appearance of our skin. The bt-Cocktail is made of a blend of seriously ground-breaking ingredients - together these ingredients allow for optimal cellular health by nourishing, protecting, and enhancing the capabilities of the mitochondria; the heart of where ATP is manufactured. What is ATP and how will it make me look 10 years younger? ATP is the energy source that supports all living things. As we age, our bod­ies gradually lose their stores of ATP and our body’s cellular functions slow down, increasing the signs of aging – I’m sure you’ve heard this before – like how much your cell turnover slows down as you age, a rather depressing thought! 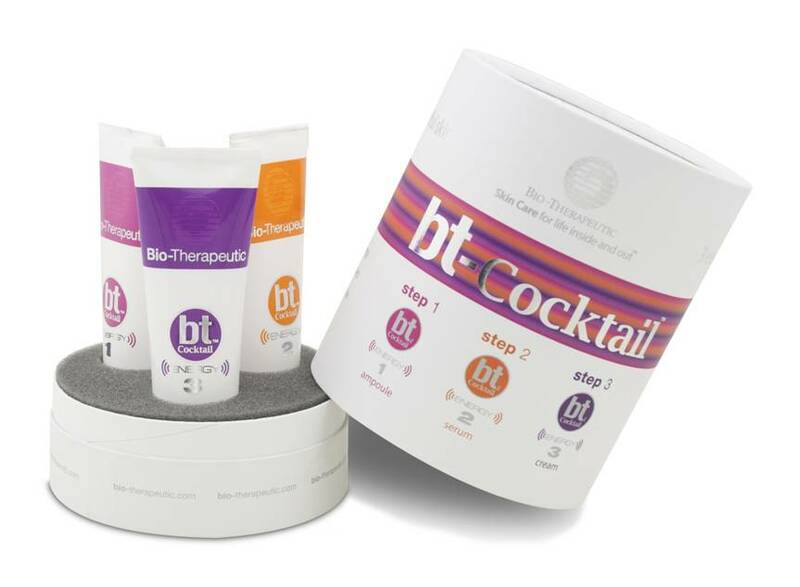 bt-Cocktail provides our skin with the energy boost to improve the appearance of the skin. The three part skin energy system combines ingredi­ents to create the ultimate environment for ATP synthesis to take place, resulting in diminished fine lines and wrinkles, improved elasticity, and glowing healthy looking skin. It takes something rather dramatic for me to see results on my skin as I am constantly trialling the very best skincare out there and have a very good routine (read: I am completely pedantic when it comes to skincare). 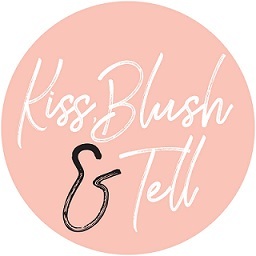 I used the products for a 30 day period and finished them off in the last 15 days, but with the nature of blogging had to start trialling other products. The 30 day period was primarily dedicated to trialling Bio-Therapeutic though, and I feel this was ample time to get a good idea of this results I would get from the range. To start off with: I am probably a bit young to be using an anti-aging product like this, but in my mind this is completely fine and done as a more preventative thing. I obviously don’t have deep wrinkles but have a few more fine lines than I would like, particular on my forehead! Being winter my skin was also rather dehydrated to start with. The result: My skin gelled really well with this range, I thought it was exciting to use (I love scientific-like skincare) and felt it was pretty simple and straight-forward to use). The texture of my skin was the main thing that stood out for me – it honestly changed rather drastically to feeling a lot finer and incredibly soft and silky. The main areas I saw change were the places where my main concerns were: my forehead and my eye area. The lines in both areas were a lot more plumped up and a lot less noticeable. My skin also looked more radiant and less sallow. Given that my skins condition was already pretty good, I was pleasantly surprised to see further improvements and I really enjoyed the actual 3 step process of this product range – it’s simple and time efficient to use – yet still leaves you feel indulged. 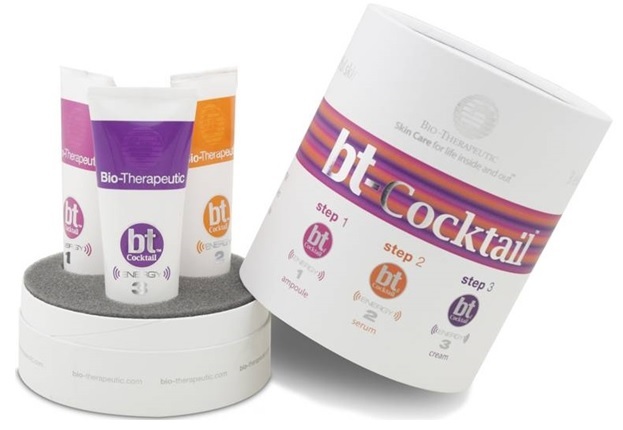 I would definitely recommend trialling the 45 day bt-Cocktail set if you can – I can promise you that you will see results, especially for more mature or damaged skins. 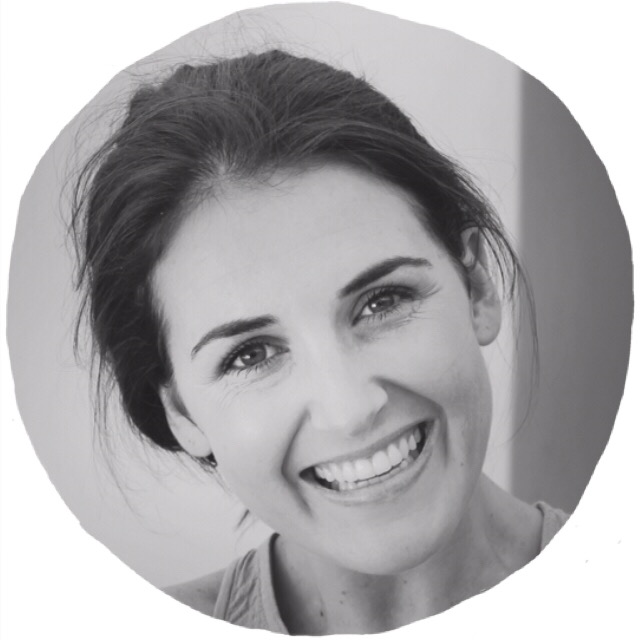 This product range combined with regular LED and ultrasonic technology facials will really accelerate the results you get – I went for one of these arte my skin looked unreal (seriously). I will definitely be booking the rest of my course soon. The lights (LED) can be quite invasive if you not used to them but they leave your skin looking seriously radiant, dewy and so calm after a very active treatment. I had full-on extractions and pigmentation treatment and left there ready and able to go to my black tie event! I have been using the product for about 6 days and have noticed a MASSIVE AND MAGICAL change in my skin. So much so I actually phoned the couple responsible for bringing them to SA, to thank them. 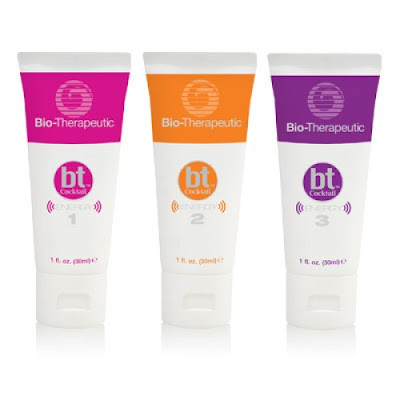 That's awesome to hear Bailey - agreed, my skin really reacted well to these products and I saw a big change. Love the treatments too!